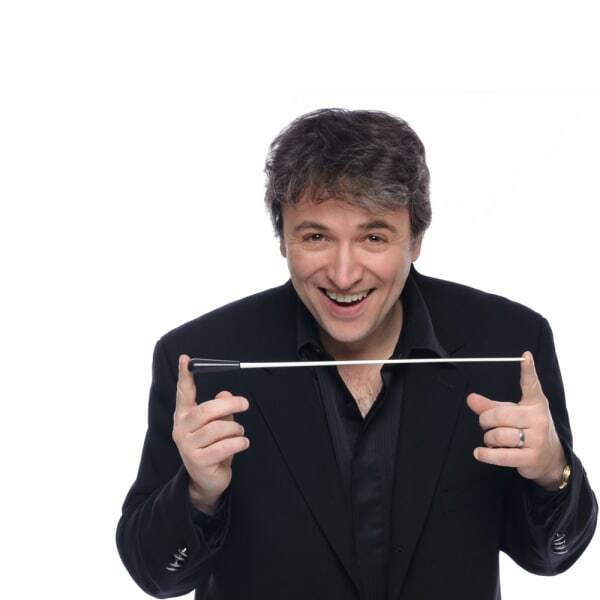 Praised by La Presse for his “immense talent as conductor, musician and performer”, Canadian conductor Alain Trudel is Music Director of l’orchestre symphonique de Laval and principal youth and family Conductor of the National Arts Centre Orchestra. He is also Principal Guest conductor of the Ottawa Symphony Orchestra, was Principal Guest Conductor of the Victoria Symphony Orchestra and guest musical advisor for the Manitoba Chamber Orchestra. Trudel was also the CBC Radio Orchestra conductor, taking the orchestra to new heights of artistic quality, as well as public and critical acclaim. A frequent guest of the major orchestras in Canada, Trudel also appeared at the helm of orchestras in the UK, the USA, Sweden, Italy, Russia, Japan, Hong-Kong, Kuala Lumpur and in Latin America. Highly appreciated for his collaborative spirit, he has worked with many world-famous artists including Ben Heppner, Anton Kuerti, Measha Brueggergosman, Herbie Hancock, Branford Marsalis, Alain Lefèvre and Pinchas Zukerman. Trudel made his Opera de Montréal debut in 2009, Conducting Mozart’s Die Zauberflöte, as well as the 30th anniversary gala, which was released as a live CD and nominated at L’ADISQ award. In 2010 he also made his debut at l’Opéra de Quebec conducting their Gala as well as leading the 2011 production of Die Fledermaus. Since September 2012, he is music director of the Operas at the University of Western Ontario. Trudel has always been highly committed to the new generation of musicians. He was for eight seasons (2004-2012) Conductor of the Toronto Symphony Youth Orchestra, and has been regularly invited to conduct the National Youth Orchestra of Canada since 2006. Their recording of Mahler’s 6th Symphony and Le sacre du printemps was nominated as “Best Orchestral Album of the Year” at the 2010 Juno Awards. He is guest professor of orchestra and opera at the university of Ottawa. First known to the public as a trombone soloist “The Jascha Heifetz of the trombone. Le Monde de la musique”, Alain Trudel made his solo debut at the age of 18, with Charles Dutoit with l’Orchestre Symphonique de Montreal. He has been guest soloist with leading orchestras on five continents including l’Orchestre Philharmonique de Radio-France, the Hong-Kong Philharmonic, The Austrian Radio Orchestra, Carnegie-Weill Recital Nall (NY), Dresdner Neueu Musik Tage (Germany),Tasmania New Music Festival (Australia), Conservatoire National Supérieur de Paris (France), Festival Musica Strasbourg (France), Klangbogen Festival (Vienna), Akiyoshidai and Hamamatsu festival (Japan). Alain Trudel is very happy to come back to his roots, as he will be Hannaford Street Silver Band’s principal guest conductor at the start of the 2010-2011season. As a composer Trudel has been commissioned by the CBC, the National Art Center, the Toronto Symphony Orchestra, Bellows and Brass, among others. Hi works have been performed by orchestras in Atlanta, Québec, Toronto, Ottawa, Montréal, Kuala Lumpur, Buffalo. Alain Trudel is the recipient of numerous Awards, among them the Virginia Parker, Le grand prix du disque Président de la République de l’Académie Charles Cros (France), the Heinz Unger Prize for conducting. He has also been named an Ambassador of Canadian Music by the Canadian Music Center. Alain Trudel was the first Canadian to be a Yamaha international artist.